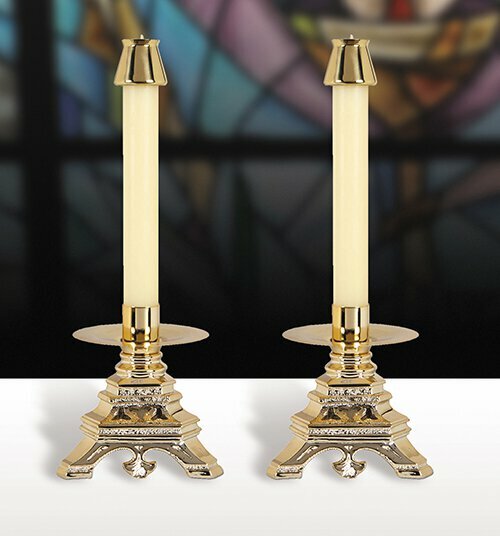 An extremely unique twist on your traditional altar candlesticks. These have a durable molded base with a metal socket and bobeche. Electroplated to mimic a high polished brass finish. Two candlesticks per set! Collection also includes a short altar candlestick (#B4170), tall altar candlestick (#B4169), altar crucifix (#B4172) and paschal candlestick (#B4171).